Since 2014, the use of mobile apps has skyrocketed more than 300%, and, at the beginning of this year, approximately 160,000 fitness-related apps were vying for users’ attention. The feeding frenzy is driven, in part, by the growing symbiosis between people and their smartphones. One study estimates that Americans now spend an average of five hours a day on their phones, 92% of which involves using mobile applications. As apps have grown both in number and sophistication, so, too, have consumers’ expectations. People have become accustomed to and comfortable with doing virtually everything— from banking, to buying books, to ordering meals—by simply tapping on a smartphone. And health club members are no exception. They want instant, all-the-time access to everything their club provides today, and have a long wish list of things they’d like it to offer tomorrow. Instant purchases: Typical club apps make it incredibly easy for members to make purchases at any time and from wherever they are—for classes, special programs, personal training, massage, merchandise, gift cards, and more. And special offers and push notifications can be customized, via geo-targeting, to encourage impulse buys. “Our Club Automation Mobile App allows members to register and pay for classes and programs at their convenience, maximizing the opportunity for clubs to sell and increase their revenue stream,” says Emily Zelko, the director of marketing for Club Automation, now a subsidiary of Daxko. Apps not only facilitate, but also track purchases, producing valuable data in the process. “Our software tracks and measures specific purchases and quantities, so clubs can see where their sales are coming from, compare those sales to their overall revenue, and, if necessary, make changes,” says Larry King, the founder and CEO of ShapeNet Software, which recently introduced a new app. Online training and coaching: Trainerize’s app makes it possible for clubs to offer personal training online, providing a flexible, affordable option to individuals who may hesitate to purchase in-club sessions. Virtuagym’s PRO digital coaching program offers users customized exercise and nutrition plans, progress tracking, and social support. The Newtown Athletic Club (NAC), a Virtuagym client in Newtown, PA, has reaped the benefits. “This app gave us the tools and technology to expand beyond our four walls, allowing us to provide online workouts for our members to use both inside and outside of the club,” says Kate Golden, the director of people and fitness operations at NAC. “It’s also made it possible for us to engage our younger Millennial members, who already were using apps for fitness routines. Member referrals: Using apps, members can refer friends to the club to enjoy a free trial or simply send personal text messages to their friends, who can then download a free guest pass. Clubs, for their part, can incentivize members to offer referrals by awarding rewards or points that can be redeemed for merchandise or services. “One of the most valuable ROI aspects of our app is its automated referral system,” says Matthew Boyer, the COO of Around the Clock Fitness, a six-unit Florida chain that relies on the Netpulse app. “Referrals have always been touchy, because we’re asking members to give us information about their friends and families, and to trust that we’ll handle it with care and respect.” The app helps ameliorate their concerns. Self-service: Apps not only can expand and enhance the member experience and make it more efficient and increase revenue and referrals, but also can reduce operating costs while doing so. For instance, the member mobile check-in that an app’s QR-code function facilitates minimizes the number of access cards that have to be printed and purchased, and frees up front desk staff time. By automating other processes, such as purchasing spa services or booking personal training sessions, apps reduce labor and administrative costs; staff no longer have to manage a rush of members registering for programs at the start of a new series, or handle calls for daily class sign-ups. In the back office, personnel don’t have to chase down clients to update expired credit cards, since the app sends them automated reminders, and lets them correct the situation easily on their own. Automated referrals: Tapping a steady stream of prospects from member referrals, clubs are able to reduce their client acquisition costs. And because all app referrals are stored in the club’s customer relationship management (CRM) system, staff don’t have to enter information manually, which saves time and minimizes human error. 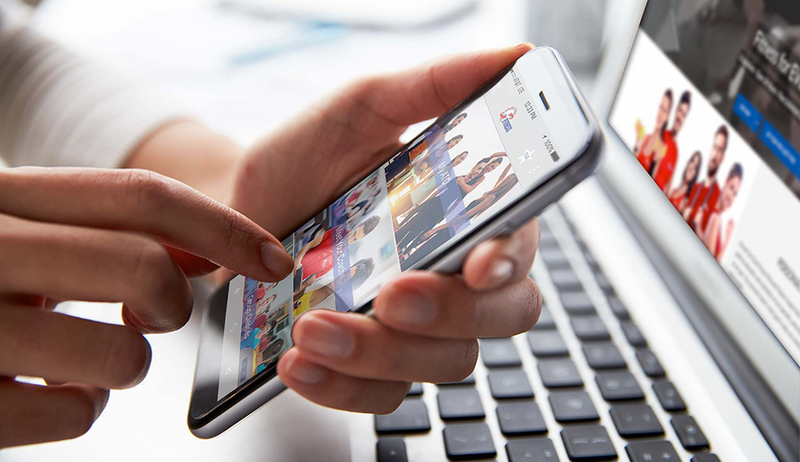 Marketing expenses: Push notifications and app communications cost less than bulk short message service (SMS) messages, and can significantly reduce printing costs for marketing materials, such as direct mail pieces, guest passes, and class schedules. Mobile apps keep a club’s presence front and center with members and multiplies the number of ways to interact with them effectively. “They’re a channel for engagement that inspires members to check in regularly, and develop a relationship both with their club’s brand and its staff,” says Mohan. Fitness challenges and workout tracking: Apps can orchestrate, conduct, and judge fitness challenges: members simply sign in, their workouts are logged automatically, and a leaderboard displays their standings in real time. With no extra work required on the part of either member or staff, clubs are able to spend more time helping their clients achieve the results they desire. Fitness coaching, goal setting, and automated workout tracking also can keep members committed and on track. Many apps sync with fitness trackers and wearables, such as Fitbit and MyFitnessPal, to award credit for out-of-the-gym activities, and store the workout data in one centralized location. Incentives: Everyone likes freebies. 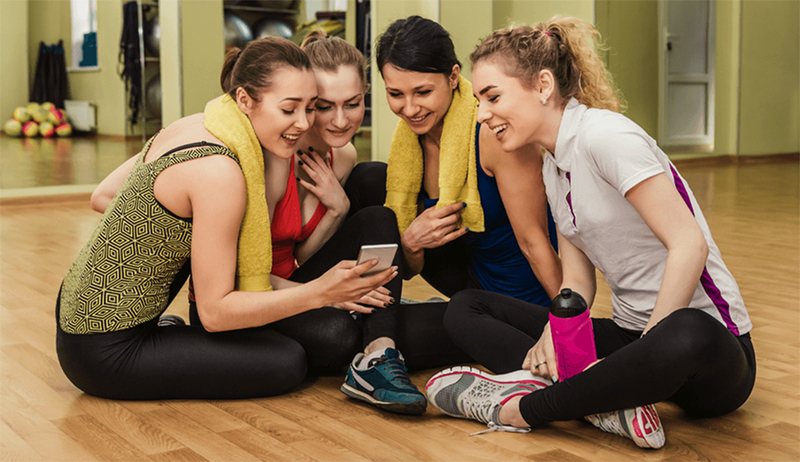 Operators can provide rewards for using a club app to set goals, log workouts, provide referrals, and make purchases, which members can then exchange for goods and services. Some apps simplify the tracking process by working with incentive programs, such as Perkville and FitRewards. Member profiles and data: Apps can develop member profiles in the club’s CRM system, which are based on club usage, member purchases, and other revealing factors. Perfect Gym makes use of on-site beacons that detail general member demographics, so operators can optimize space utilization; it is even able to predict the risk of member cancellation. “This helps inform better business decisions, offer products and services more precisely, and ultimately boost retention,” says Michael Hawrasz, the product manager for Perfect Gym Solutions, S.A.
“We’re seeing higher retention rates and greater visitor numbers than we’ve ever had before, because we’re creating more touch points with members, who are now more connected to our brand,” says Jon Nasta, the director of marketing for Xercise4Less, a U.K. chain and Virtuagym client. That figure, admittedly, isn’t easy to calculate. It varies based on how much a club uses its app, and involves a variety of factors, including class bookings, personal training revenues, number of referrals, member attrition, etc. And there are some benefits—such as brand awareness and customer satisfaction— that are nearly impossible to measure. But no one seems to doubt that an ROI is, in fact, forthcoming. Julie King is a contributor to Club Business International.